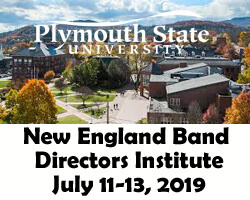 In addition to All-State and Solo & Ensemble, the Rhode Island Music Education Association, in partnership with the RI-ACDA and several area schools/universities, offers many large ensemble festivls over the course of the academic school year. You can view them on the calendar; members can register and see additonal details below. The Large Ensemble Festival Adjudication Forms and Rubrics can be found in Appendix A of the RIMEA Member Handbook.